A partner in the firm, Attorney Wax focuses her practice in the areas of family law, child welfare law, probate litigation and estate administration. She successfully handles all aspects of complex family and probate litigation, including divorce, child custody and support issues, alimony, real estate and retirement account divisions, pre and post-nuptial agreements, guardianship, and adoption, will contests, and partition actions. She has a unique experience representing clients who have experienced difficulty and struggles with drug and alcohol abuse, particularly opioid addiction, and has lectured on this topic. 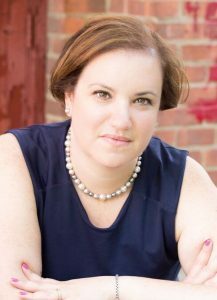 Born and raised in New York City, Attorney Wax began her career in a challenging and rewarding family law practice before deciding to make the bucolic Berkshires her home in 2009. Prior to joining the firm, she opened her own family law practice in 2012. She advocates for her clients with calm, intelligent and passionate fervor, never losing sight that at the heart of the dispute, is a family. Attorney Wax achieved her undergraduate degree from State University of New York at Buffalo in 1999 majoring in Political Science. She attended New York Law School, from where she received her J.D. in 2002. While a student, Attorney Wax worked at the New York City Department of Education, serving children with multiple disabilities and those on the Autism spectrum, in various capacities including special education teacher. Attorney Wax resides in Southern Berkshire County with her husband and two daughters. Attorney Wax is licensed to practice law in Massachusetts and New York.